The February show is an exhibit of sixteen plus prints that were developed over the past year. 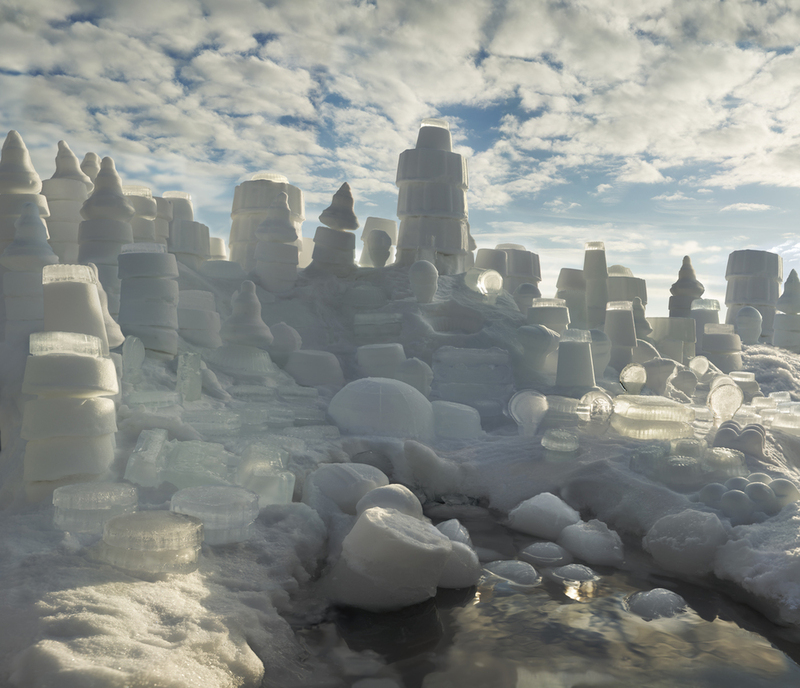 The snow and ice construction of the Snow Cities happened over the time period from November 2014 till March 2015. It was during this time that the photography took place as well. Post production started almost immediately. The image construction and printing took over 12 months and is continuing.